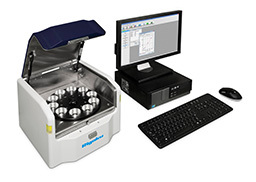 XRF elemental analysis in the field, plant or lab Especially designed and engineered for heavy industrial use, whether on the plant floor or in remote field environments, the superior analytical power, flexibility and ease-of-use of the NEX DE adds to its broad appeal for an ever expanding range of applications, including exploration, research, bulk RoHS inspection, and education, as well as industrial and production monitoring applications. 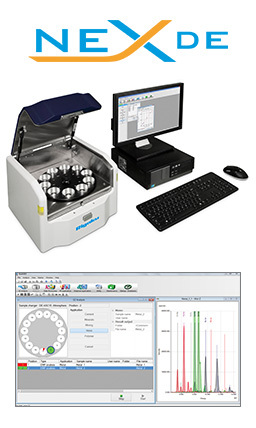 Whether the need is basic quality control (QC) or its more sophisticated variants â€” such as analytical quality control (AQC), quality assurance (QA) or statistical process control like Six Sigma - the NEX DE is the reliable high performance choice for routine elemental analysis by XRF. XRF with 60 kV X-ray tube and SDD detector The 60 kV X-ray tube and Peltier cooled FAST SDD® Silicon Drift Detector deliver exceptional short-term repeatability and long-term reproducibility with excellent element peak resolution. This high voltage capability (60 kV), along with high emission current and multiple automated X-ray tube filters, provides a wide range of XRF applications versatility and low limits-of-detection (LOD).